Last Updated Apr 2019 – Titanium is a pretty nifty material. It’s incredibly strong and light, non-toxic, and surprisingly affordable in cookware. But how does it compare to stainless steel, copper, or ceramic? Here’s a quick rundown on how titanium is used in cookware and how it stacks up against other common cookware materials. Pots and pans provide a way for you to transfer heat from your stove to a safe, easily cleaned cooking surface. 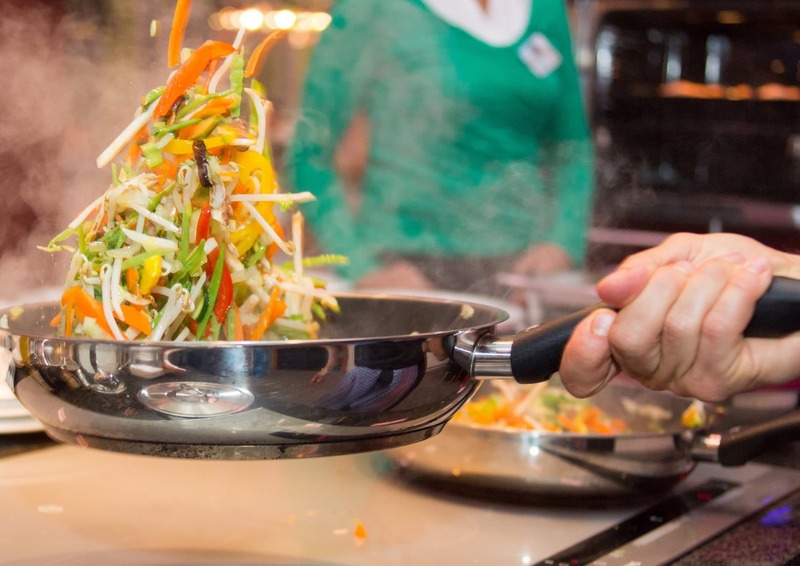 Cookware needs to be sturdy enough to last, non-stick enough to clean easily, and totally food safe, especially on the inside. It also should conduct heat reasonably well and heat up quickly and evenly. This helps ensure that food in different places in your pot or pan cooks at the same rate. Is Titanium A Good Material For Pots and Pans? Titanium doesn’t meet all of these criteria on its own. 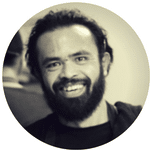 It’s strong and light, meaning that your pots and pans will last a long time and be easy to handle. It’s not a very good conductor of heat, however, and it doesn’t make a particularly good cooking surface on its own. As a result, you’re not going to see pots and pans that are made of just titanium. Instead, titanium is used in cookware in one of two ways. 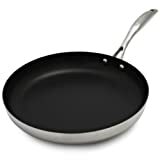 Manufacturers either include a thin layer of titanium (often on the outside) in order to make the mostly-aluminum cookware stronger, or they incorporate it into the non-stick cooking surface to make it more scratch resistant. Both solutions create cookware that’s arguably better than cookware without titanium. Is Titanium Cookware Worth It? Truthfully, the impact of titanium on your cookware isn’t that big. Your anodized aluminum cookware might get stronger with a thin layer of titanium on the outside, but it’s more than strong enough without one, too. Likewise, titanium might make your non-stick coating more scratch resistant, but there are plenty of modern scratch resistant non-stick coatings that don’t use titanium. Titanium cookware is still very much worth it, however, for a very simple reason. Titanium cookware sets don’t cost any more than comparable sets without titanium. They’re not really cheaper, either. Instead, they’re roughly the same price as a similarly sized hard anodized cookware set of the same quality. There’s a lot of contradictory opinions on the internet about the relative safety of various materials. Many people claim that Teflon is unsafe, for example, while others claim that you can literally eat chips of Teflon with no ill effects. 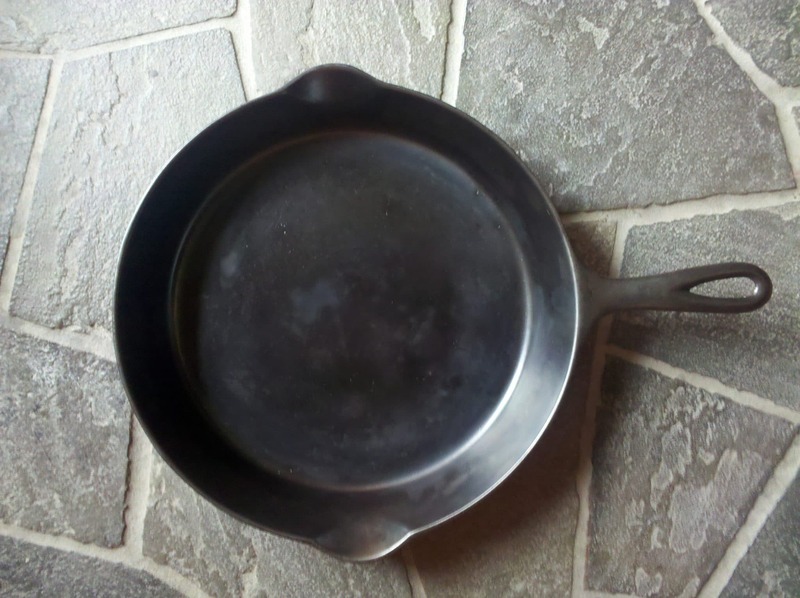 When it comes to titanium, the Teflon argument starts to become very, very relevant. 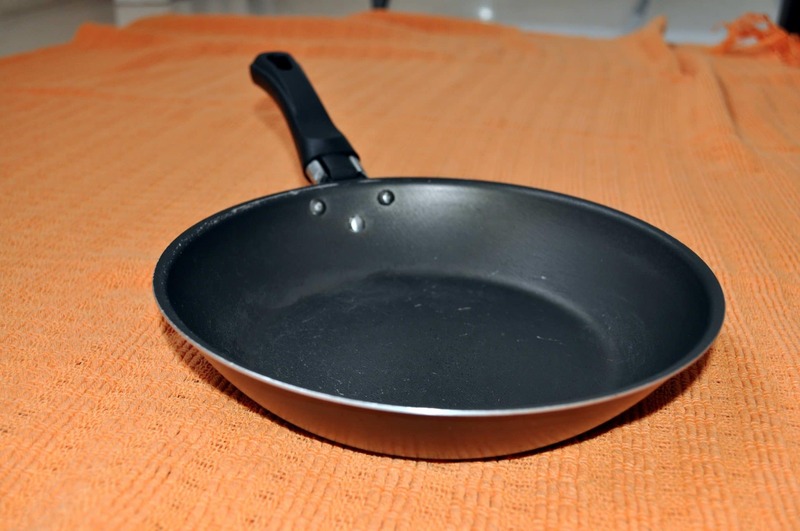 Titanium is used in pots and pans to strengthen either the exterior or the cooking surface. When it’s used on the exterior, it’s difficult to argue that it’s unsafe, since it doesn’t really come into contact with your food and it’s non-toxic anyway. When it’s used in the non-stick coating, however, some people might argue that it’s part of an unsafe cooking surface. This isn’t because of the titanium. Instead, it’s because some people aren’t convinced by manufacturers and government agencies claiming that modern non-stick coatings are safe. The takeaway here is that cookware with titanium in it is just as safe as comparable cookware without titanium in it. Personally, I think that newer, PFOA free non-sticks are probably just as safe as the manufacturers say that they are. If a material is scientifically engineered to be totally inert and non-reactive, that material isn’t likely to interfere with my body in any way if I accidentally ingest it. I’m much more concerned with how various non-stick coatings interact with high temperatures, but that’s a thing that I can control in my own cooking. Each pot and pan in this T-fal set is made of hard anodized aluminum. The titanium comes into play in the advanced non-stick coating that lines the cooking surface of each piece. It’s made of aluminum core with a modern titanium non-stick, it’s got glass lids and rubberized handles, and it offers pretty incredible heat distribution for its price. 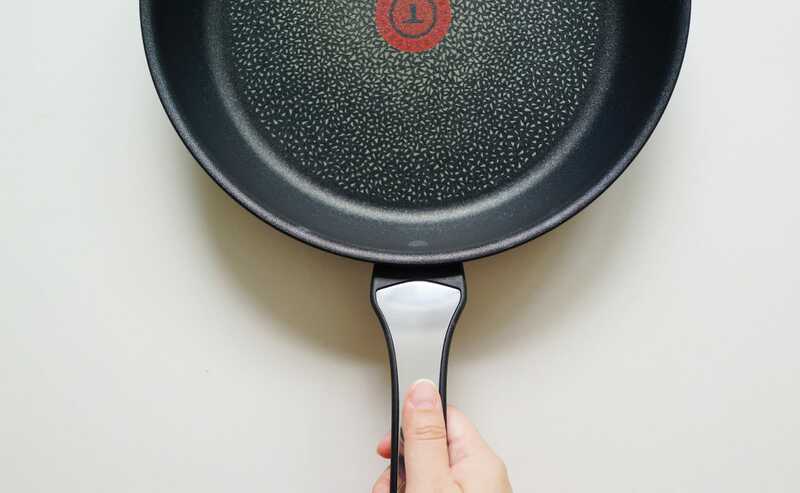 The non-stick coating is a special ceramic/titanium blend that boasts unique cooking characteristics and a surprising amount of scratch resistance. It’s big, flat, and deep, so you can use it for just about every task in the kitchen, from cooking pasta to frying eggs. This T-Fal set is pretty popular, and it’s easy to see why. It’s got a plethora of useful features that help it compete with the very best non-stick cookware. Glass lids, silicone handles, and a generous lifetime warranty mean that you’re totally covered as far as amenities go. To be clear, this cookware set isn’t primarily made of titanium. 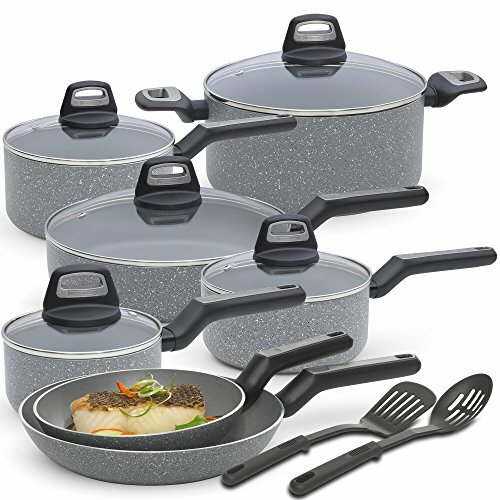 Each pot and pan in this T-fal set is made of hard anodized aluminum. The titanium comes into play in the advanced non-stick coating that lines the cooking surface of each piece. Titanium helps produce an incredibly tough, slippery surface that lets your food slide around with ease. The particular titanium-infused non-stick used in this set is supposed to have a longer working life than some other non-stick coats, meaning you can use this set for quite a while before you have to replace it. It’s metal utensil and dishwasher safe, too, so you can use a metal spatula occasionally and clean this set with incredible ease. When it comes to cooking performance, this set is pretty nice. It’s not going to heat up or cool off as fast as a copper cookware set, of course, but the hard anodized aluminum is still fantastic when it comes to heat distribution. The pots and pans are reasonably light, and the silicone handles can be comfortably used without any heat protection. The non-stick coating on these pots and pans performs wonderfully. 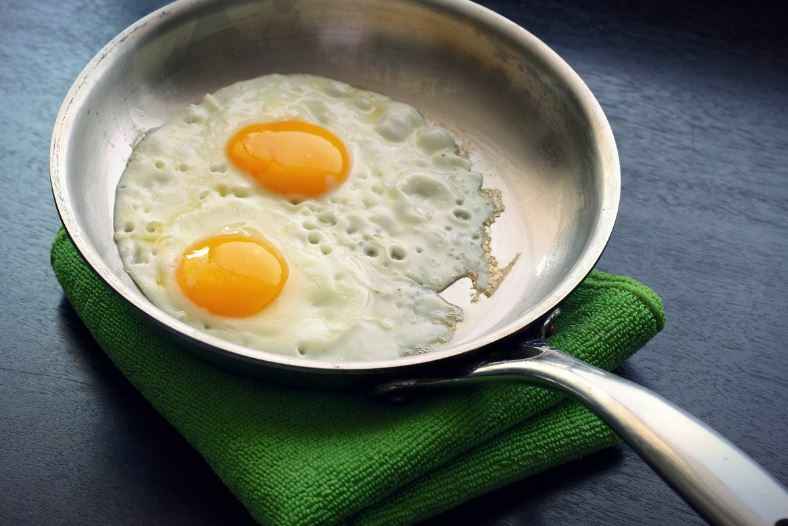 You’ll have no problems frying eggs over-easy with no fat whatsoever. It also seems extra durable, although the actual lifespan in your kitchen will depend on how you use it. Usually, you should expect non-stick coatings have a functional lifespan of two to five years. This set should comfortably last at least that long with a bit of care. I mentioned the glass lids before, but it’s worth noting again that this set comes with well fitting vented lids made from clear glass. This is pretty standard these days, of course, but it’s still nice to know that this cookware set will let you observe your food while keeping heat and steam trapped under the lid. This isn’t exactly a downside, but the “thermo-spot” technology that’s so prominently featured in T-fal’s marketing doesn’t do much. Preheating your titanium non-stick pans is a good idea, but the spot isn’t particularly helpful in determining when a pan is preheated. You’ll likely find that the spot starts to indicate at a temperature that’s far too high to be useful. It’s much easier to simply use a drop of water or even an infrared thermometer to gauge the temperature of your pans. There are two legitimate negatives associated with this set. First, it’s not compatible with induction ranges. If you plan on using a fancy induction range, you’ll definitely want to get a different cookware set. Second, it’s only oven safe to 400 degrees. This is likely due to the silicone handles. You probably don’t want to throw your pots and pans in the oven very often, but this does limit your ability to sear meat and then throw it under the broiler, for example, and it’s a sign that you’ll need to be fairly careful with your use of high heat on the range. As a final positive note, many versions of this set come with a steamer insert. I find that steamer inserts are an incredibly useful tool to have for cooking a variety of common dishes. It can be a (small) pain to find one that fits your pot, however, so the inclusion of this tool with this cookware set is a welcome touch. It’s not a huge deal, of course, but it might help you choose this cookware set over a comparably priced alternative. Overall, this titanium cookware set offers quite a lot, especially given the reasonable price. 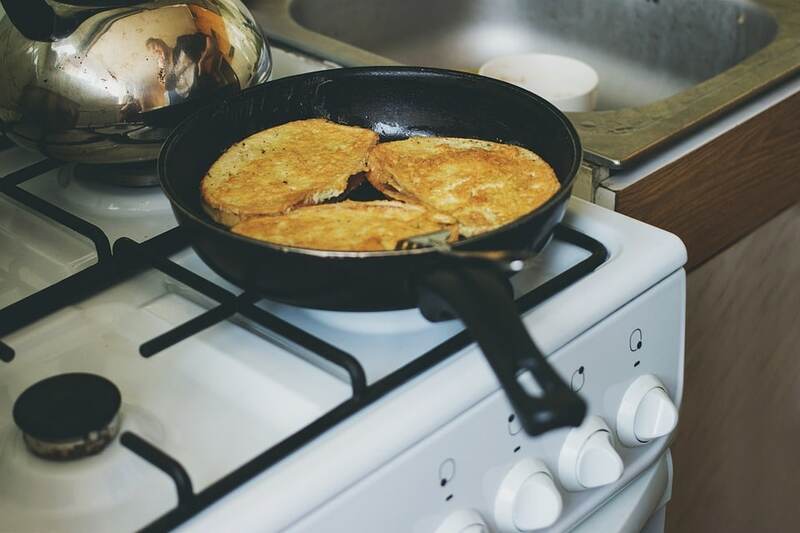 It’s got fantastic heat distribution, the non-stick is wonderfully effective, and the set is covered by a lifetime warranty. I think it’s probably the best titanium cookware set available right now. What’s not to love? This set is pretty comparable to the T-Fal set above in most ways. It’s made of similar materials (aluminum core with a modern titanium non-stick), it’s got glass lids and rubberized handles, and it offers pretty incredible heat distribution for its price. There are two big differences, however. This Black and Decker set is NOT dishwasher safe, while the T-Fal set is, and this Black and Decker set is available in three different colors. They’re all pretty muted (you have a choice between granite, copper, and slate), but it is nice to have a bit of a choice when it comes to your cookware. Before I lay into this set too hard, I should point out that it includes some really nice cookware. Like I said earlier, the heat distribution that this aluminum cookware offers is fairly good. The non-stick coating is similarly excellent for preventing foods from sticking. If this set is on sale or you simply prefer the Black + Decker brand over T-Fal, you should absolutely choose this set. That said, it’s not without downsides. First, (and most worryingly), Black + Decker doesn’t provide an oven safety temperature. It’s likely that this cookware set is oven safe to roughly the same 400 F as the T-Fal set, but I can’t tell for sure. This means you should be especially careful when you cook on the range over high heat and you should avoid using this set in the oven if possible. Second, this set includes two silicone utensils in the box. This would be a positive if these were “extra” pieces. Instead, they count against the “14” when Black + Decker says “14-piece set.” In other words, you’re getting 7 pots and pans, 5 lids, and two utensils in this set. By contrast, the 17-piece T-Fal set has 10 pots and pans, 6 lids, zero utensils, and a steamer insert. Be sure to keep the actual composition of each cookware set in mind and not just the number of pieces when you compare them. Black + Decker claims that this set has special ergonomic handles. In practice, I think it’s pretty unlikely that you’ll notice a difference in between these and any other rubberized handles. This isn’t a bad thing, especially since the handles on these titanium pans stay safe to touch even after cooking for a while on fairly high heat. It just means you probably shouldn’t value their “ergonomic” design very highly when choosing a titanium cookware set. One final positive is that this set is protected by a limited lifetime warranty, just like the T-Fal set. It’s unclear exactly how long the working life of this cookware set will be in your kitchen, but it’s certainly very nice to know that Black + Decker stands behind their workmanship and will replace a faulty set several weeks or months down the line. These titanium pots and pans are available as both individual pieces and as a set. Overall, this set makes an excellent alternative to the T-Fal set above. It’s a great option if it’s on sale, you prefer the Black + Decker brand to T-Fal or you simply prefer the aesthetics. Since this Black + Decker set is available in three colors, it’s much easier to match it to your existing pieces or the decor of your kitchen. Despite being a pretty serious skillet for the pretty serious cook, this non-stick aluminum pan manages to be accessible enough for the casual kitchen. It’s induction compatible, oven safe to 500 F, and totally dishwasher and metal utensil safe. 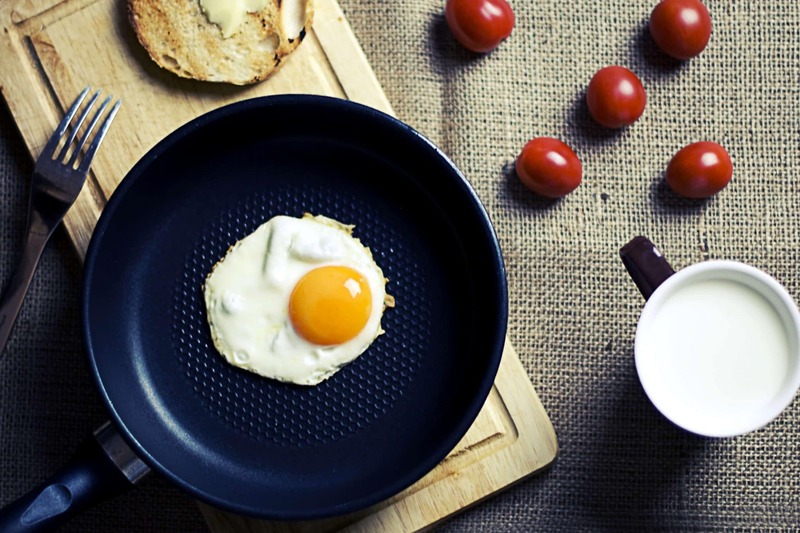 Best of all, the non-stick coating is a special ceramic/titanium blend that boasts unique cooking characteristics and a surprising amount of scratch resistance. 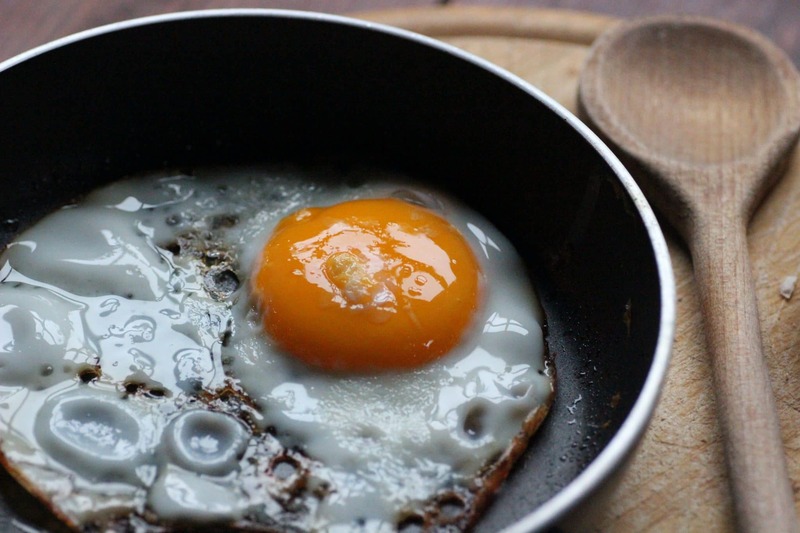 Teflon-style non-stick coatings have an interesting disadvantage. On a stainless steel cooking surface, when you cook certain foods on higher heat, you’ll build up a flavorful residue called fond. It’s pretty tough to create fond on anything that resembles Teflon, however, as nothing sticks. This means it’s tricky to deglaze a Teflon pan or even sear meats the same way. The ceramic and titanium non-stick used in this Scanpan is a bit different. 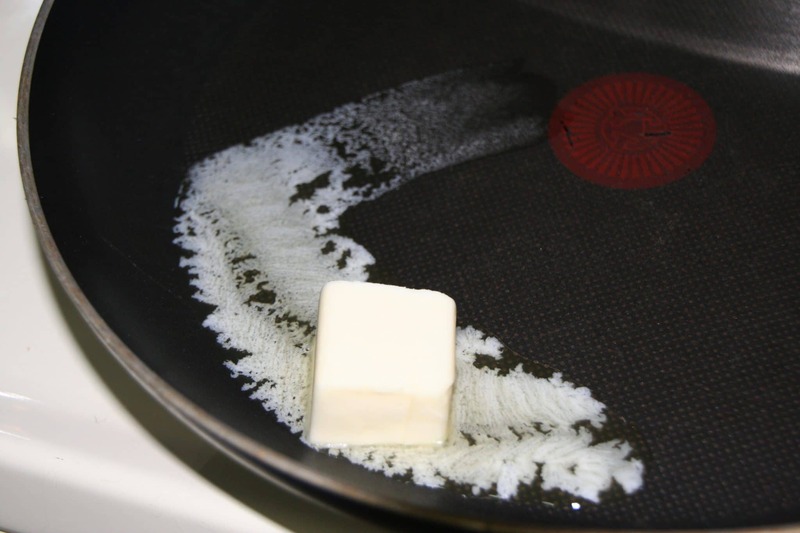 While it’s still totally non-stick, it’s not too difficult to let a bit of flavorful residue accumulate in the pan. This allows you to make delectable pan sauces after you’re done cooking your meat to perfection. All you need to do is pour in a bit of wine or another liquid and add any additional flavorings you want your sauce to have! Overall, the way this pan handles while you cook is pretty impressive. It’s got excellent heat distribution, the non-stick is more than effective enough, and it’s got just the right amount of weight to make it feel solid in your hands. The handle on the pan is made of metal, so it gets a bit hot after the pan’s been on the heat for a while, but this is fixed pretty easily by using a potholder. If you’re a more serious cook and you want a titanium non-stick pan, this Scanpan is definitely the right way to go. The fact that it’s dishwasher and oven safe makes it a pretty good choice for just about every other kitchen, too. It’s durable, it’s got great heat distribution, and it’s easy to clean. What more could you ask for? This T-Fal jumbo cooker is pretty similar to the pieces you find in the T-Fal set above. 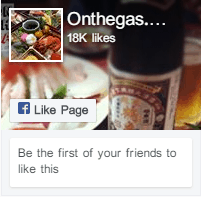 I’m a big fan of that set, of course, so this jumbo cooker gets a similarly positive recommendation from me. My favorite feature has got to be the form factor of this pan. It’s big, flat, and deep, so you can use it for just about every task in the kitchen, from cooking pasta to frying eggs. First, the basics. This pan can hold up to 5-quarts of liquid and it comes with a matching glass lid. It’s made of hard anodized aluminum, which conducts heat very well. The interior has a titanium non-stick that’s PFOA free and incredibly effective at preventing foods from sticking. The pan has soft handles that stay cool while you cook. Unfortunately, it’s not induction compatible, and it’s only oven safe to 350 F.
There are a few differences in between this and the pieces you’d find in the full set. Most importantly, this doesn’t seem to be dishwasher safe. Given how easy it is to clean a non-stick pan, this probably isn’t a big deal, but it is worth noting that you shouldn’t throw this pan in the dishwasher. It’s also slightly less oven-safe. This is probably a symptom of the handles on this jumbo cooker being made from a slightly different material. If you’re not too interested in induction compatibility or oven safety, I think that this is the best way to add a bit of titanium to your home cookware. Rather than get a titanium pot or a titanium frying pan, you can get a single piece that manages to be both at the same time. The deep sides, well-fitting lid, and large, flat non-stick cooking surface make it suitable for nearly any recipe. Titanium-infused non-stick coatings offer a unique blend of strength, durability, and effectiveness. While they’re not the only option as far as scratch-resistant non-stick coatings go, they’re pretty affordable and effective. The titanium and ceramic cookware reviewed above represents some of the best offerings on the market today. Both the sets and the individual pans have great heat distribution while being tough enough to withstand regular kitchen use. You won’t go wrong with any of them.